Golden Ocala Golf & Equestrian Club boasts a riveting 18-hole championship course design by world renowned architect Ron Garl that incorporates eight masterfully created tribute holes from some of the world’s finest courses including Augusta, Royal Troon, Baltusrol, Muirfield, and St. Andrews. Info: Golden Ocala Golf & Equestrian Club has carved out a piece of paradise in the rolling hills of Central Florida. Home to championship golf and tennis, an equestrian center, luxury living and more, our community is a one-of-a-kind experience. Searching this Directory of Florida Golf Real Estate is always free to everyone. Find golf course community homes and property fast, easy and free! To add your listings to this online directory call Florida Golf Magazine at 863-227-2751. 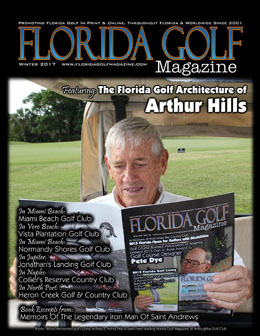 Winter 2017 issue of Florida Golf Magazine features "The Florida Golf Architecture of Arthur Hills" Click here to read it. 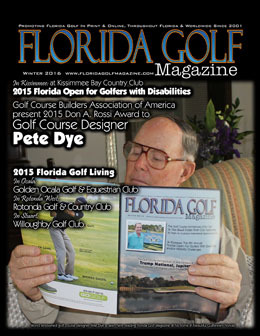 Pete Dye is on the cover of the Winter 2016 issue of Florida Golf Magazine. Click here to read it. Golf Architect Ron Garl & Indian River Club, and Trump National Jupiter are showcased in the Winter 2015 issue of Florida Golf Magazine. Click here to read it. 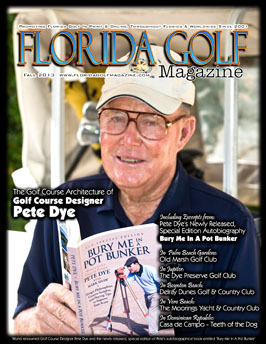 The Florida Golf Architecture of Pete Dye showcased in the Fall 2013 issue of Florida Golf Magazine Click here to read it. Beautifully Maintained Golf Home for sale at Hammock Dunes with Beach Proximity, located halfway between St. Augustine and Daytona Beach just east of Palm Coast, Florida. FLORIDA GOLF MAGAZINE, is printed quarterly and delivered to 50,000 serious golfers, including the General Managers of over 1,100 Florida golf course facilities. 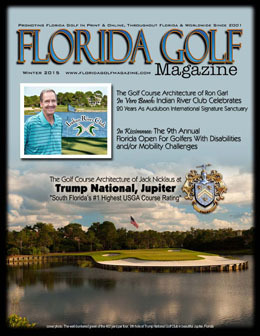 FLORIDA GOLF MAGAZINE features a unique blend of Florida golf course photography, course reviews and real estate showcases mixed with Florida golf resort and travel feature stories. 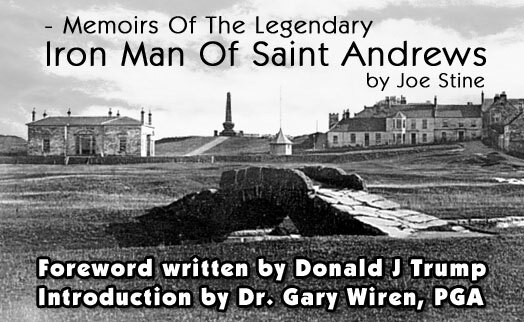 Plus our celebrity interviews, golf articles and tips by nationally known contributing editors will always interest serious golf readers throughout America's premier golf state. To advertise in Florida Golf Magazine call the Editor: Joe Stine, at 863-227-2751 or 863-294-2621. © 2018 Joseph A. Stine, All rights reserved.